One of the first wine regions in the world to be demarcated in 1756, the Douro is unique. The mountains and valleys, the river Douro and the work of mankind have all combined to shape the region. Magnificent hand built terraces have been created; vines are exposed to the sun and erosion is prevented. As one of the most dramatic and beautiful wine regions in the world, the Douro is classified as World Heritage by UNESCO. Porto wine is always a blend and not made from a single grape variety. Fermentation (a natural reaction that transforms the sugar of the grapes into alcohol) is stopped before its natural end by the addition of a neutral wine alcohol, resulting in a rich, full-bodied wine with high residual sugar and an alcohol of 20% vol.. 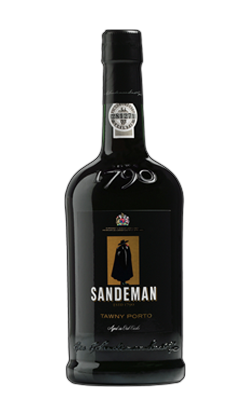 The wines, initially stored in large vats in the Douro, will finish their ageing in the traditional Sandeman cellars of V.N. Gaia. The microclimate allows the wines to age and develop their best flavours and aromas. On arrival the wines are stored in oak wood (large vats or small casks) according to their characteristics and potential, and it is this which will determine their style. Throughout these years the wines are monitored by the winemaking team who assesses their ageing (minimum 3 years) and also create the blends that will later be reproduced on a larger scale and then bottled.